10/100Base-TX RJ45 ports, 2 10/100/1000Base-T RJ45 ports and 21 000Base-X SFP combos. link aggregation, QoS, MAC binding, etc, which saves the cost,t ime and energy of network deployment to a great extent. 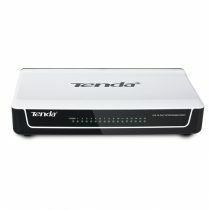 8-Port Tenda TEF1210P switch supports 8 PoE ports, which can supply power to most powered devices through 8-core Ethernet cable, and the total PoE power can be up to 123 W while each PoE port can support the maximum of 40 W.
Nova MW3 is a 1200 Mbps dual band distribution mesh Wi-Fi system designed for 1,100 – 3,200 square foot households, bringing you whole home Wi-Fi coverage, as well as fast and stable Internet access. 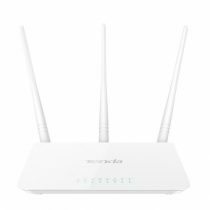 A pack of 3 provides you with up to 3,200 square feet of Wi-Fi coverage, while a pack of 2 provides you with up to 2,200 square feet of coverage. 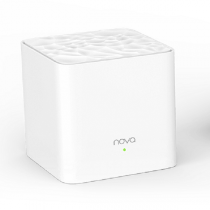 Compliant with IEEE 802.11v and IEEE 802.11r seamless roaming protocols, nova MW3 supports automatic network optimization and automatic routing selection, allowing you to enjoy a more stable and flexible wireless network. TEG1024D, Tenda 24-Port Gigbit Rackmount Switch, adopts the most advanced Broadcom StrataConnect-series chip of high integrity, has 24 10/100/1000M Ethernet ports and is compatible with IEEE 802.3az standard. Special high reliability design supports for protecting the power adapter and ports from inducive lightning up to 6KV voltage; all provides an economical solution for network accessing layer with small-middle sized enterpries, schools and hotels, etc. 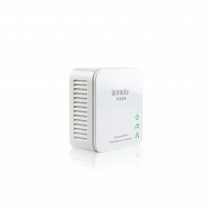 Compliant with ITU-T G.984 standard, G103 is widely compatible with global ISP and OLT . 1 gigabit wired RJ45 port is provided by G103 to bring ultra-fast data transfer. Plug and play, G103 supports OMCI remote management without onsite configuration as well . G103 is an ideal FTTH device with simple and easy design. With upstream rate up to 1.25Gbps, downstream rate up to 2.5Gbps and transmission distance up to 20Km, G103 can bring freewheeling internet access. 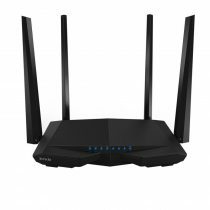 Wireless rate up to 300Mbps is ideal for streaming music, uploading photos, video chatting, HD video streaming and other bandwidth-intensive tasks. Supports WPA, WPA2, WPA-PSK/WPA2-PSK security mechanism to enhance security level. Super simple setup interface helps you access to the Internet effortlessly.